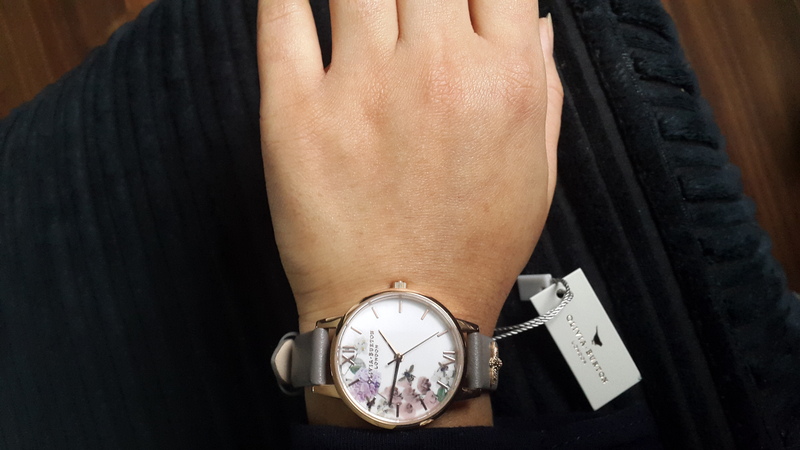 Olivia Burton Enchanted Garden London Grey & Rose Gold OB16ES06 is a beautiful and attractive Ladies watch. Case material is PVD rose plating, which stands for a high quality of the item while the dial colour is MultiColour. This watch is market as water resistant. It means it can withstand slight splashes and rain, but is NOT to be immersed in water. The watch is shipped with an original box and a guarantee from the manufacturer. The watch arrived and looks just as nice as the pictures. I have a small wrist so I was worried about how big the dial would look on my tiny wrist. Luckily it doesnt over power my wrist and is in perfect proportion. The dial is bright and the pattern/design is very intricate and elegant. This is what made me choose it. 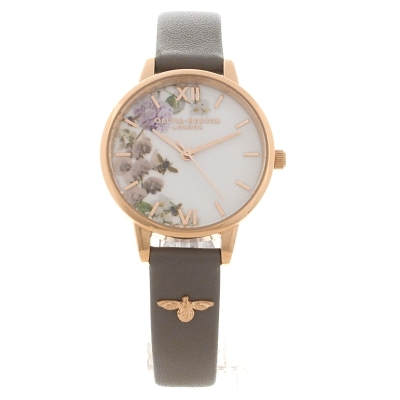 Also the small bird detail on the leather strap is beautiful. The Rose gold plated rim and buckle adds to the elegance of the watch. As I have a small wrist, I was surprised to find extra holes on the strap. Overall I love the look of the watch. The grey leather strap also adds a modern look and has a nice slim fit.